What is the PrecisionPath Consortium? In June 2015, the Coordinate Metrology Society (CMS) and UNC Charlotte received an Advanced Manufacturing Technology Consortia (AMTech) Grant from the National Institute of Standards and Technology (NIST), a division of the U.S. Commerce Department. The AMTech Grant is one of 16 awards dedicated to accelerating growth of advanced manufacturing in the United States. The CMS-UNC Charlotte team established the PrecisionPath Consortium for Large-Scale Manufacturing, an industry-driven group working to identify and prioritize the technology needs of the aerospace, defense, energy, and other industries that manufacture large-scale, high accuracy parts and products. The PrecisionPath Consortium will focus on developing and executing strategic plans to solve universal technology challenges found in large-scale manufacturing. Consortium members meet on a regular basis to determine the best path toward innovation and progress in the advanced manufacturing and metrology fields. Why is the PrecisionPath Consortium Important? Strengthening American manufacturing is Job One for the U.S. Commerce Department. The PrecisionPath Consortium for Large-Scale Manufacturing enables public-private partner collaboration to push advanced manufacturing forward, which is critical to supporting economic growth and creating new growth industries and American jobs. This AMTech-funded alliance is merging the brightest minds in the industrial and metrology sectors to keep American manufacturing on the cutting edge of innovation. The Coordinate Metrology Society and UNC Charlotte share an inspirational vision to solve obstacles hindering U.S. advanced manufacturing. 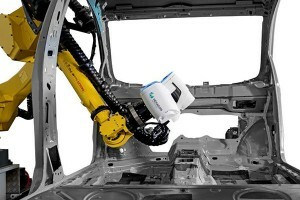 The Coordinate Metrology Society is the one membership organization that connects all of the industry players – end users, OEMs, software developers and service providers – involved in large-scale manufacturing endeavors. Since 1984, the CMS has been dedicated to the advancement of three-dimensional measurement throughout industry, and caters to metrology professionals using close-tolerance industrial coordinate measurement systems, software, and peripherals. UNC Charlotte recently opened the doors of their new Siemens Energy Large Manufacturing Solutions Laboratory located within the University’s Energy Production and Infrastructure Center (EPIC). The laboratory will support collaborations of industry and academia in their research and development of next generation manufacturing technologies. 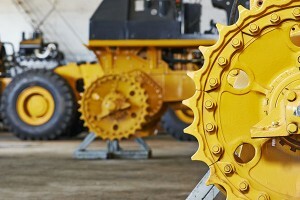 The faculty at UNC Charlotte’s Department of Mechanical Engineering and Engineering Science are experts in precision engineering, motorsports engineering, bioengineering, metrology, computational methods, mechanics and materials. Their engineering programs are nationally recognized. Representatives from leading manufacturing companies attending the first working meeting included Michael Jones, Siemens; Bob Elliott, Lockheed Martin; Chris Barrow, Lockheed Martin; Glen Cork, Spirit AeroSystems; Matthew Ilardo, Brookhaven National Labs, and Mons Lee, The Boeing Company. 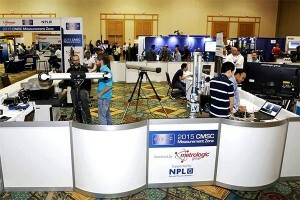 OEMs and metrology service providers were represented by Ron Hicks, Automated Precision (API); Patrick Welch, New River Kinematics (NRK), Joel Martin, Hexagon Metrology; Rina Molari, Hexagon Metrology and 2016 CMSC Chair; Ray Ryan, ECM Global Measurement Solutions; Eric Brandt, Nikon Metrology and Ron Rode, Planet Tool and Engineering. Consortium organizers are Ron Hicks, CMS AMTech Chair and UNC Charlotte representatives Ed Morse, John Ziegert, Ram Kumar, and Antonis Stylianou. Other supporting attendees included Tom Lettieri, NIST; Danuta McCall, Facilitate.com; and Belinda Jones, HiTech Marketing. Interested metrology professionals from the large-scale manufacturing community who can commit to attending PrecisionPath technical meetings and associated conferences in the next two years are invited to contact Ron Hicks, CMS Committee Chair at ron.hicks@apimetrology.com.